Amidst the corrugated, graffiti-lined walls surrounding Oakland’s annual Hiero Day festival early Monday afternoon, San Francisco producer Arumi took the stage as a welcome respite to the day's more hectic activity. Wearing a white long-sleeve shirt, with her bleached-blonde ends catching the occasional summer breeze, Arumi stood calm and collected as she opened her set with a mashup of Post Malone’s “Congratulations” — a momentary oasis of cool electronic sounds in the sweltering heat. Although the DJ and producer from Los Angeles first learned how to mix in ninth grade, Arumi began seriously releasing music after she graduated from San Francisco State only a year and a half ago. Her characteristically ambient mixing style — an amalgamation of house, hip-hop, and funky synths — has since drawn the attention of many in the local art scene. This year, in addition to Hiero Day, Arumi performed at the Women In Music Bay Area festival, showcased at 1015 Folsom, and produced the track “Come With Me” for emerging Oakland rapper Siri. She's also appeared in a number of collaborations with Oakland art collective Le Vanguard, as well as with Vanessa Nguyen, one of its founding members. And as a female musician in a male-dominated industry, Arumi draws a great deal of inspiration from others in the same milieu. Los Angeles record label and music collective Soulection, for instance, is one of the producer’s primary influences for its unique sound and women-heavy roster of DJs. 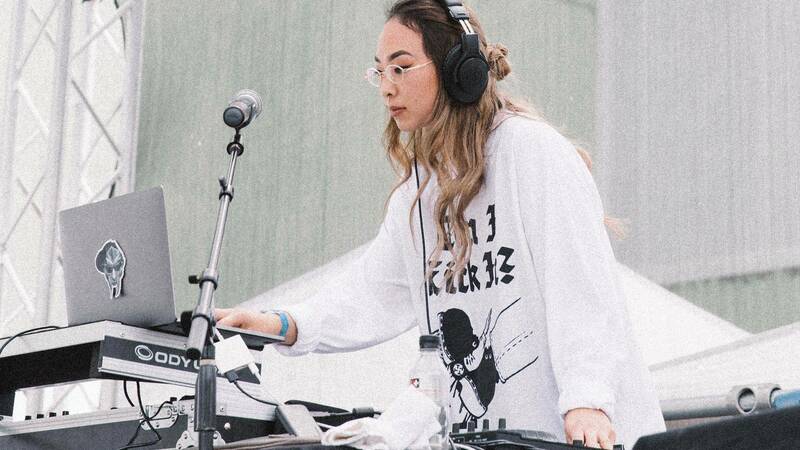 Citing artists like Tokimonsta, Peggy Guo, Mija, and Black Madonna as inspirations alludes to the significant effect that female DJs — especially Asian female DJs — have had on Arumi’s own work. In terms of incorporating her own cultural and ethnic heritage into her music, the artist — of Korean and Japanese descent — hopes to include pieces of traditional sounds she can alter to create her own unique work. For her, the small pockets of cultural sound are meant to bring exposure to her East Asian background. For now, Arumi is looking to expand the bright, easygoing style of her mixes to full-fledged production. Despite the fact that much of her work currently skews hip-hop (such as Arumi’s Hiero Day set, for instance), the producer wants to explore more experimental genres going forward. That means collaborating with even more members of the Bay’s rich, talented art scene, and making songs for artists that she believes in — especially those who focus on house or electronic music. When producing, however, Arumi says she immortalizes feelings in her songs rather than particular sounds or styles. 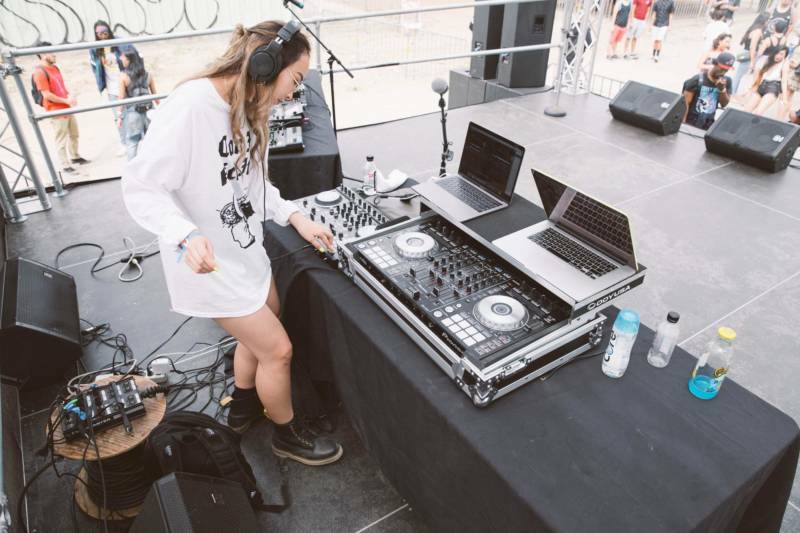 Judging by the dreamy, dance-y set she played at Hiero Day, Arumi definitely knows how to capture a feeling. And looking at the strides she’s taken in the Bay Area music scene so far, she’s not afraid to share it.